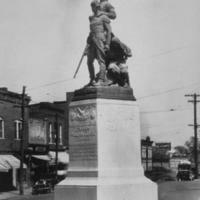 This document shows a photograph, taken in 1939, of one of the monuments that stands in Charlottesville, Virginia, dedicated to the Lewis and Clark Expedition. Named after its leaders, Virginia natives Meriwether Lewis and William Clark, the Lewis and Clark Expedition explored the North West Territory of the United States, ventured to the Pacific Ocean, and returned back. The Lewis and Clark expedition was a federally funded project that took place during Thomas Jefferson’s presidency. For many years, Thomas Jefferson wanted the land west of the Mississippi River to be explored in hopes of finding a water route that connected the Mississippi River to the Pacific Ocean. This did not happen until the 1803 Louisiana Purchase. On April 30th 1803, American diplomats Robert Livingston and James Monroe signed that Louisiana Purchase. The United States paid $11.25 million to France and also pardoned $3.75 million in French debt in return for 828,000 square miles of land west of the Mississippi River. Later that same year, Thomas Jefferson wrote to Meriwether Lewis, appointing him to lead the expedition. In his letter Jefferson listed objectives of the trip including: to discover if there was a water route connecting the Mississippi river to the Pacific Ocean, record information on topography and climate, study the wildlife and plant life, and describe the Indian peoples culture and life and study their regional trade. In the late winter of 1803, Lewis and Clark prepared for their expedition at Camp Dubios, where they trained and recruited men for their Journey, the team of men would go by the name Corps of Discovery. On May 14th 1804, the expedition officially began its journey west of the Mississippi River. William Clark was an experienced river navigator who navigated the waters and served as the main cartographer of the expedition. He took detailed notes of the land and major rivers systems. Meriwether Lewis explored the terrain and took notes of the landscapes he observed. He also gathered large amounts of plant and wildlife samples and sent them back to Thomas Jefferson. The entire expedition took two years, in which they were able to survey over 8,000 miles of terrain, which they traveled through by land and water. Throughout the expedition only one man died, and from what was common then, appendicitis. 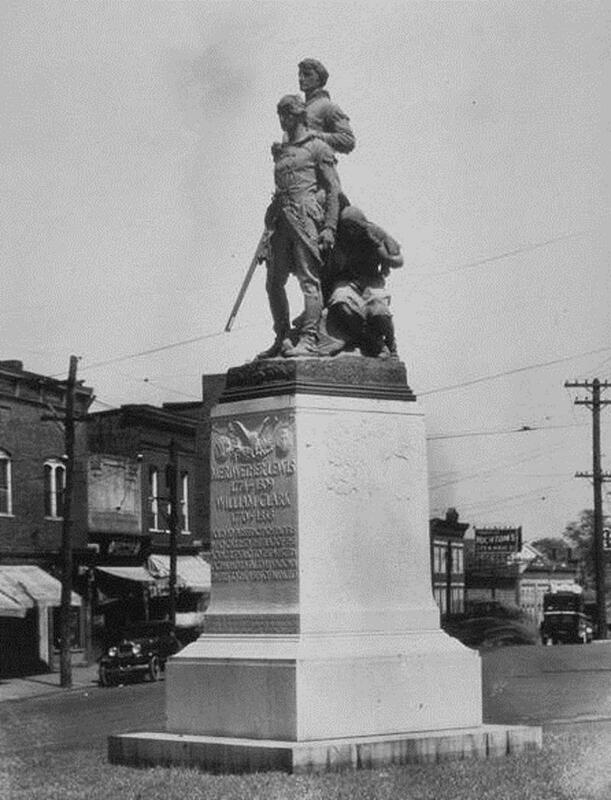 This kind of success was due to the help from the Indians such as Sacagawea, who joined the Corps of Discovery to translate and guide the group through the land, and Indians tribes who provided food, supplies geographical information, and most importantly safe passage. Following the Lewis and Clark Expedition, both Lewis and Clark served as governor of the Louisiana Territory. Many members of the expedition also moved west. Today, The Journals of the Lewis and Clark Expedition have been published and serve as a masterpiece of cartographic history. In their shoes: Imagine you are going on this expedition with Lewis and Clark, what resources will you use to research the new American territory and to report your findings to President Thomas Jefferson? 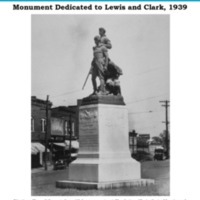 “Monument dedicated to Lewis and Clark, 1939,” Document Bank of Virginia, accessed April 21, 2019, http://edu.lva.virginia.gov/dbva/items/show/166.